Watching housing policy unfold in Britain is like watching a rabid dog chase its tail. The insanity keeps on increasing and you just know it won’t end well. So when the Tories made an election pledge to extend the right to buy to housing associations, nobody thought they’d really be stupid enough to actually do it. But it has gone ahead, and housing associations have reached a back door deal to push it through. What will it mean? Well, much less social housing for sure. There are 2,343,000 housing association properties and it is the biggest sector providing social housing. It is estimated that 24,000 tenants a year will be able to afford to buy their homes with an average discount of £63,271, which is 35% below market price. The government’s theory is that it will increase the number of home owners (which they’re desperate to do since home ownership is dramatically declining) and (somehow) double the number of homes available, if replacement homes are built, though it’s very vague on this last point, the key word here being ‘if’. The National Housing Federation (NHF) has calculated that if all housing association tenants who could buy their own homes did so, the cost would be £11.2bn. How will the scheme work? This is the really insane part, because in order to pay for it, councils will be forced to sell off their most valuable housing on the open market when it becomes vacant. So it’s a double whammy; housing associations will lose their stock and to foot the bill, councils will lose theirs. The government estimates it will raise £4.5bn with the sale of empty council stock which will then, so the theory goes, be channeled to pay for the building of new stock, though not all the new stock will be for rent, some of it will be shared ownership. The scheme makes no sense at all in London because there simply isn’t the land to build new homes. And it makes no sense in the north, because council housing isn’t valuable enough to pay for it. There’s no doubt the results will be devastating for housing associations and councils alike. It will cost councils £6bn over the next four years at a time when they are already being hit hard by cuts in funding. Camden council has warned it may have to sell off half its housing stock (11,714 homes) while Westminster and Chelsea will lose 76.2% and 97.1% of their council housing in the forced sell off when their tenants move or die. In the north, where the sale of council housing won’t bring in much money at all, the shortfall between the sale of right to buy homes and the cost of building new ones is over £50,000. Across the country, homes designed to house the most needy in society will be lost to the private sector forever. Many working in Housing Associations also fear that there will be no incentive for them to either build or buy up stock since they’ll be forced to sell it below market price. It’s a windfall for a few lucky tenants who can afford to buy and total disaster for generations to come. So why have 85% of Housing Associations voluntarily agreed to a policy that many housing experts agree is damaging and unworkable? The answer lies with their debt. Housing Associations, unlike councils, were allowed to borrow money on the open market to help build social housing. As well as new builds, Housing Associations also increasingly managed ex-council properties through stock transfers, and on the basis of their incomes from rent, borrowed money to build more. And it worked, for a while, until the financial crash (triggered initially by the sub prime housing crisis). In 2006, their free cash flow (excluding sales) was £252 million, and the debt they could raise at a 7% interest rate was £3.6 billion. By 2009, their free cash flow had shrunk to £189 million and the debt they could raise was down to £2.7 billion. At present, Housing Associations owe just under £60bn and somehow they have to pay it back. Osborne’s scheme to make better off tenants (those earning more than £40,000 a year in London and £30,000 elsewhere) pay market rents would only bring in a drop in the ocean. Many of the smaller housing associations know the right to buy may well finish them off, but the larger ones are taking their chances. They know this level of debt puts them in danger and have decided to sign up with the legislation before it goes through parliament. The deal was if they do so, the threat from the Office for National Statistics to reclassify them as public sector bodies will be withdrawn. It’s worth remembering here what the effects of the original Right to Buy have been. In August the Independent ran an article stating that 40% of homes sold under the original right to buy scheme are now being let out privately, some at up to 7 times the average cost of social rents. Some 30,000 homes were sold and not replaced. This meant the amount of affordable housing has shrunk dramatically and rather than a generation of property owners, we’ve seen the birth of a new type of super rich private landlord (1) and a generation of renters paying through the teeth and unable to get on the housing ladder at all. It’s not surprising first time buyers are declining. In London you need to earn at least £77,000 a year to buy your first house, three times the capital’s median wage. The average UK house price for first time buyers in London is an eye watering £385,000 and it takes the average family 22 years to save for a deposit on their first home. It’s not surprising then that home ownership has plummeted in the last ten years. So now Britain is increasingly becoming a nation of renters, with one in five households in England renting privately. The level of owner-occupation in the UK peaked at 73.3% in 2007, just before the crash, and has now declined to 64.6%, lower than France, and much lower than across the EU as a whole (where rates are 70%). It’s a trend that looks set to increase. The right to buy in short led to polarisation, to growing inequality, it created a housing shortage, led to worsening market affordability while helping push up property prices to unprecedented levels all of which has left us with the worst housing crisis for decades. And so far, everything the government has done has made the situation worse. Take the buy to let scheme. It has acted as a subsidy to the well off to the tune of £5bn a year (landlords are allowed to deduct mortgage interest as an expense against their rental income and claim a ‘wear and tear’ allowance that gives them 10% of gross rents tax free, and up until recently they’ve also been able to avoid paying Capital Gains Tax when they sold (2)). It has become so popular (for those who can afford it) that 1.61 million Brits are now amateur landlords. There’s been a 40% increase in buy to let stock, but only a 2% increase for owner occupied mortgage lending. But the scheme has been more than a hidden subsidy to the wealthy. It’s skewed the whole housing market, pushing out first time buyers who can’t compete. According to the Mortgage Lenders Association, a first time buyer who borrows the same amount as a landlord at an interest rate of 4% could face monthly repayments which are 58% higher (due to the fact landlords can still get interest only mortgages). But what was once seen as a good market driven idea has now become the very thing that could tip the housing market into a new crisis. A Bank of England committee (FPC) recently reported a new boom and bust scenario due to it’s rapid growth, not only because it is pushing up house prices and pushing out first time buyers, but because landlords are far more likely to bail out if house prices drop, leading prices to dive further. So it’s pretty much a lose lose situation. Either prices go up, and with it the rental market at inflated prices, or they drop, in which case the banks face another massive credit risk. This has led the government to announce a tightening of buy to let conditions. Over the next five years there’ll be changes in tax and capital gains and the 10% wear and tear allowance will be scrapped altogether along with the present tax relief on interest payments. There have been howls of protest from private landlords but the truth is, much of the damage has already been done. London is bang in the middle of ‘social cleansing’. Councils, saddled with ever soaring housing benefit bills on top of an ever worsening housing shortage, are resorting to ever more desperate measures. Wandsworth is only one of many offering incentives for tenants to leave by offering grants of up to £7,000 to any tenant willing to move to Birmingham where rents are cheaper. Homeless families in London are already being rehoused elsewhere and although this is not a new phenomenon, it is growing. In 2012 some 8,170 households were re-housed outside their home local authority, but by 2015 this had shot up to 17,640 (5). And it’s set to get a lot worse. Kensington and Chelsea, where the average home cost is £1.4m, will spend £10m buying properties outside the borough for people who have been made homeless. Westminster has just spent £3.6m buying 25 homes in Thurrock for temporary housing. And then there are the ‘Regeneration’ schemes. These typically see families turfed out of their homes while their estate is either totally demolished or ‘redeveloped’ and sold on (6). Regeneration here means getting rid of working class tenants and replacing their homes with luxury ones for the rich and super rich. The Earls Court Project is typical. The famous exhibition centre is now being dismantled to be replaced by unaffordable flats, and part of this scheme includes two large housing estates, Gibbs Green and West Kensington, which the new owners, Capco, want to demolish. Cash strapped councils are selling off their best assets, their land and housing, and shipping out unwanted tenants by the thousands. Over the past five years (7), because so many families have been pushed out of London, some areas are now almost exclusively the preserves of the rich. According to data showing the number of children who get free school meals, the number has dropped by almost a third in some London boroughs since 2010. Needless to say families who are forced to move face social disruption, children are uprooted from extended family and friends and schools. People are pushed away from their workplaces, and this is already putting pressure on businesses and public services. As London is hollowed out, the only way people can afford to work in low paid jobs in the capital is to live in densely overcrowded spaces. Younger workers, students and migrants are most likely to be found in overcrowded housing. According to Shelter, 50% of private rented stock in Newham is overcrowded, and a quarter of its 100,000 households live in property that is too small. (8) As the richer boroughs increasingly become privatized and shut off, the poorer boroughs struggle to cope with the fallout. London has never been so polarised and it’s having a massive social, cultural and economic impact. But not everyone is letting this go without a fight. Grassroots tenants organisations are springing up all over the capital, from the tenants and residents in the Save the Sutton Estate campaign, to those fighting evictions on the Loughborough Estate and on the Aylesbury estate in Elephant and Castle. And the Focus E15 Mothers are still going strong and encouraging other groups with help and advice. These groups are facing the attacks with courage, some by physically stopping evictions, others by linking up with other groups or working through the complex legal maze being thrown at them to take their homes. They’ve all discovered the hard way that decent housing, the most basic of human needs, is one that capitalism can’t provide and that every government policy response to the crisis has only tightened the noose further. British capitalism may pride itself on its image of rationality, fair play and sensibility, but as this crisis shows, it’s a system that is rabidly insane. 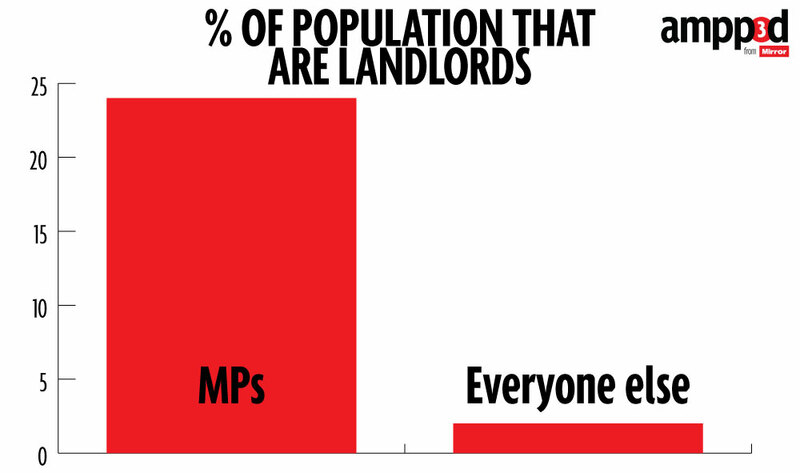 (1) Over 150 MP’s earn at least £10,000 a year in rental income. Charles Gow, the son of Ian Gow who was Thatcher’s housing minister, owns at least 40 ex-council flats on one South London estate. And according to the Daily Mirror (30 April 2015) Ukip’s spokesman for housing and environment, Andrew Charalambous, has received over £1.5m in housing benefit over two years for housing vulnerable tenants. (2) Research by intergenerational foundation. (3) Quoted in the Guardian 15th June 2015. (4) According to Shelter, harassment, threats and physical assaults are on the increase by almost 50%. Last year Shelter took calls from 17,000 households suffering abuse at the hands of private landlords, all of it so bad it could have resulted in legal action. Shelter has had cases where tenants were physically attacked, where landlords cut off utilities, entered their homes without permission and in some cases burned their possessions. It estimated that 125,000 tenants in England have experienced some level of abuse from private landlords. (5) Department for Communities and Local Government. (6) According to the Independent (March 4th 2015) billions of pounds of corruptly gained money is routinely laundered by criminals and rich foreign officials through the London property market. London has now become the world capital of money laundering and at least 36,342 properties have been bought through hidden companies in offshore havens (though the real figure is thought to far greater). The flow of corrupt money has had a massive impact on pushing up prices in the capital and has skewed developers towards luxury accommodation. Money laundering is rarely prosecuted in the UK. (7) Guardian 28th August 2015.